Offshore field development begins with the examination of geological studies of a given location, followed by sample collection and seismic data acquisition, which is interpreted in order to make a final decision on launching exploratory drilling or not. This is a time consuming and immensely expensive enterprise, involving a series of vessels equipped with specialized equipment and ultimately a drilling rig. 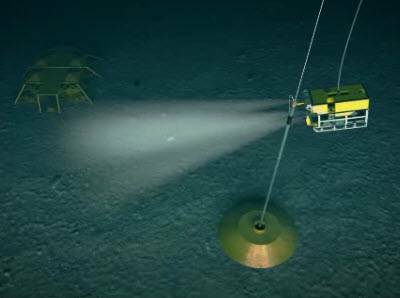 In deepwater plays the operational cost involved in the initial phases of field development is exacerbated by the water depth, local ambient pressure and usually also by the presence of strong deepwater currents. 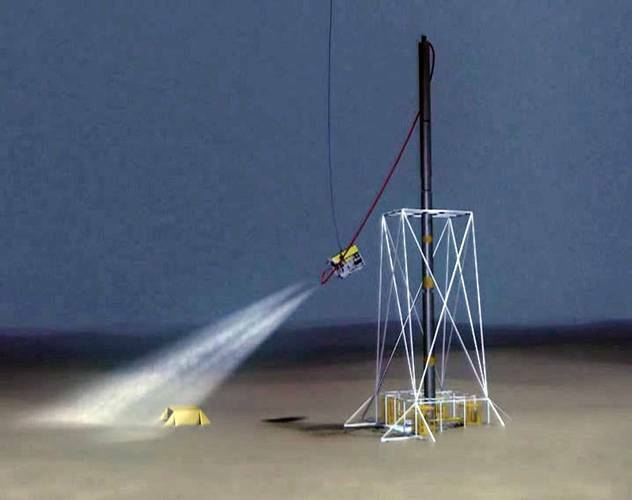 For over a decade a Norwegian oil technology company has been developing a concept where an expendable drilling tool containing a number of sensors is lowered by a support vessel down to the seabed, where it drills down through layers of rock formations and evaluates these formations until reaching target depth. 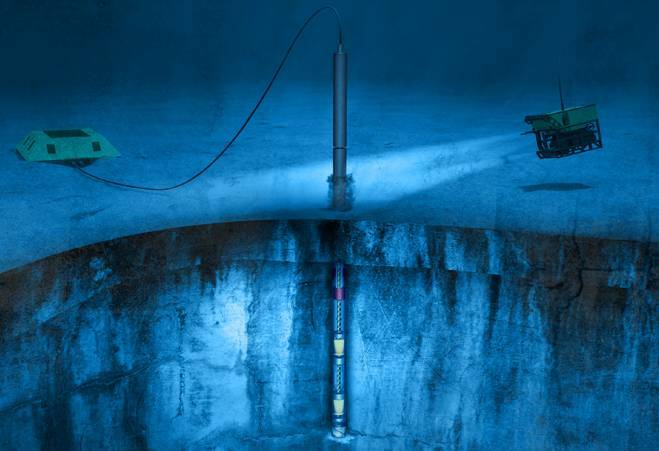 This tool is the Badger Explorer and its simple yet efficient technology consists of a compact (prototype is 20m long and Ø 0.15m) electrically powered drilling unit, the Badger Explorer, which is to be used for exploration and verification of the existence of oil and gas, primarily below the seabed. The Badger Explorer is designed to drill down driven by its own weight and with power supplied through a combined power and signal cable. This power and signal cable is connected to the surface and is spooled out from the unit when the unit is moving down below the seabed. 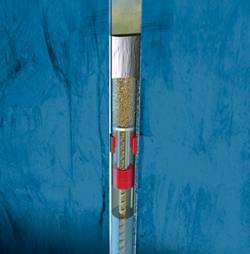 The drilling mass which is drilled out is crushed into a mass of fine particles and transported through the unit, disposed, compressed and used to plug the hole behind Badger Explorer as the unit drills down. Under the drilling process, the unit will gather all necessary data needed to verify whether hydrocarbons exist in the prospect which is investigated, as well as how much and under which physical environment the oil and gas exist. Data which is continuously gathered in large volumes through various sensors in the unit is transferred to the seabed through the power and signal cable. Through a signal cable the information is sent to a buoy at the water surface, which then uploads this data through a satellite to installations on-shore. This novel tool is being developed by Badger Explorer ASA, which was incorporated in 2003 and is based in Stavanger Norway. The concept has been strongly supported by the Norwegian Research Council, Innovation Norway and several major oil companies, since it was launched. In December 2004 the company was granted funding from the Norwegian Research Council, the Petromaks Programme and in April 2005, entered into contracts for funding and co-operation throughout the prototype development project with ExxonMobil, Shell and Statoil. The company intends to complete the Badger Explorer’s development phase and deliver the tool for field test by the end of this year and forecasts that the tool will be commercially available for the O&G market by 2015.